Born in Wellington in 1941, Jenny McLeod grew up in Timaru and Levin. Throughout her childhood and adolescence she was always involved in music, as school pianist, church organist, accompanist, or playing at dances in a band with her brothers. She enrolled at Victoria University in 1961, studying music with Frederick Page, David Farquhar and Douglas Lilburn. Her portfolio of compositions at the completion of her B.Mus. degree included Epithalamia. After hearing a recording of Quartet for the End of Time, McLeod resolved to go to Paris to study with Messiaen, whose generous mentorship made a lasting impression on her and resulted in a life-long friendship. After Paris, she moved on to study with Boulez in Basel, and then with Stockhausen and Berio in Cologne, where she wrote For Seven (1966). This work attracted critical attention with performances by Stockhausen's ensemble, and at the New Music Festival in Darmstadt and the Berlin Festival, conducted by Bruno Maderna. While in Cologne, an environment she did not particularly enjoy, Jenny McLeod "discovered" Richard Taylor's translation of the Maori creation poetry, in the Penguin Book of New Zealand Verse, which she had taken with her on her travels. Returning to Wellington and a lectureship at Victoria University, she commenced work on Earth and Sky, a large work of music-theatre for performance by school children, based on this poetry. The work made a significant contribution to the nation's burgeoning bi-culturalism, and established Jenny McLeod at the rising star of New Zealand music. In 1971 she was appointed Professor at Victoria University, remarkable on two counts - as a woman and as being just twenty-nine years old. Although Under the Sun was not the success of its predecessor Earth and Sky, it was on an even larger scale, and stimulated a new direction in her music. Under the Sun incorporated a rock band, and after a "jam session" with the band, McLeod became convinced that rock music, as well as non-Western music, had qualities she found lacking in Western art music. As she investigated these musics, she also began to read Hindu and Buddhist philosophy. A growing interest in spiritual matters led her to join the Divine Light Mission in 1975. Her compositional activities by now focused on "devotional rock music" for bands associated with the Mission. Feeling she had lost her commitment to teaching, she resigned from the University in 1976, and for the next five years she worked as a volunteer for the Divine Light Mission in Auckland, Australia, and the United States. Experiences in the States however led to disillusionment, and she returned to New Zealand in 1981. A commission from the Bach Choir of Wellington to write Childhood (1981), using her own poems, was the first in a stream of commissions McLeod received over the next few years. In these pieces she integrated of the language of popular music in an attempt to reveal its "classicism". However, by 1987, with works such as the Rock Sonatas I and II for piano, McLeod felt she had reached the limit of what this stylistic synthesis was capable. Fortuitously, at this time of creative questioning, she was invited to a contemporary music festival in Louisville, Kentucky, where For Seven was performed. Here she met the Dutch composer Peter Schat, who introduced her to his "Tone Clock" theory. McLeod became fascinated with this new systematic classification of triads, and immersed herself in a study of its theory and applications. This resulted in her translating into English Schat's book on the subject, and her developing the theory to a point far beyond that envisaged by its original author. Tone Clock Pieces for piano (1988-89) was the natural creative outcome, as she applied the theory as a stimulus for composition. In 1993 a new direction was set by He Iwi Kotahi Tatou for Maori and Pakeha choirs, the beginning of a close association with Maori culture. McLeod became a member of Ngati Rangi, and regularly wrote hymns for the Maori churches. In 1998 she became involved with her local church in Pukerua Bay, playing the organ as well as writing hymns and sacred songs for them. Most recently she converted to Roman Catholicism. Her more recent output includes three song cycles to poems by iconic New Zealand writer Janet Frame, one of which cycles (The Poet, for chamber choir and string quartet) was chosen to represent New Zealand at the 2009 International Rostrum of Composers in Paris. 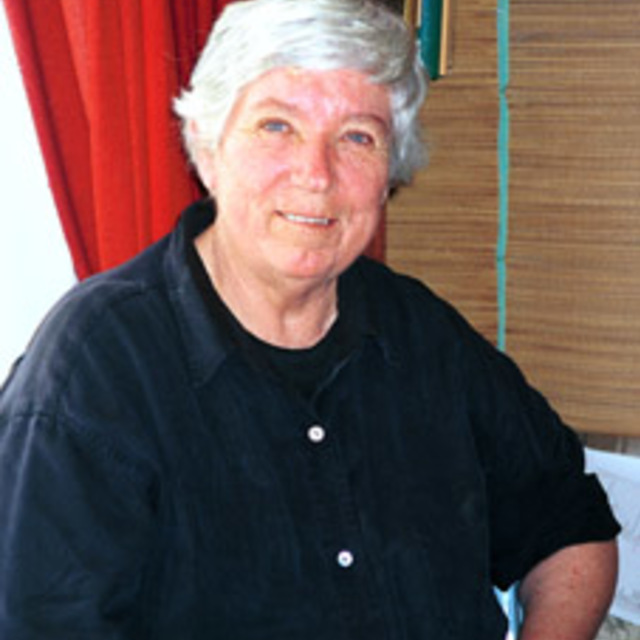 In 2008 she was awarded the CANZ (Composers’ Association of New Zealand) KBB Citation, for services to New Zealand music. In 2012 Jenny’s opera Hōhepa was premiered at the New Zealand International Festival of the Arts. In 2016 she delivered the annual Lilburn lecture, and a CD was released of her complete 24 Tone Clocks performed by Michael Houston and Diedre Irons. Jenny McLeod is considered one of the most naturally gifted of all New Zealand composers - she could read music at age five, and, before attending University, was essentially self-taught. In the opinion of one of her colleagues she has always had the intelligence and ability to make a success of any enterprise she put her mind to. Clearly one of the major paths in her life has been a search for spiritual meaning, whether through the cosmic questions posed Under the Sun, her devotional rock music for the Divine Light Mission, her writings for the Christian communities to whom she has been attached in recent years, or her choice to retire to a quiet, almost meditative life-style. Something of her strength of character may be judged from her embracing of the "Tone Clock Theory" as an intellectual as well as musical challenge. Over a period of several years she has compiled a large body of theoretical work on the subject. Having researched the subject exhaustively, however, she has now put it aside for other interests, and feels no particular ambition to press for this material to be published. Her career has been a remarkable procession of extraordinary changes of direction, periods of intensive creative activity interspersed with periods of inactivity, and stylistic volte faces - one moment radical avant-gardism, then popular music. However, she now moves with ease between different musical worlds - "serious" music, popular music, music for the church, and for Maori communities. hymn for unison voices and keyboard accompaniment.